1 unit (3 gallons) of parts A/B mixed covers a max of 300 sq./ft. 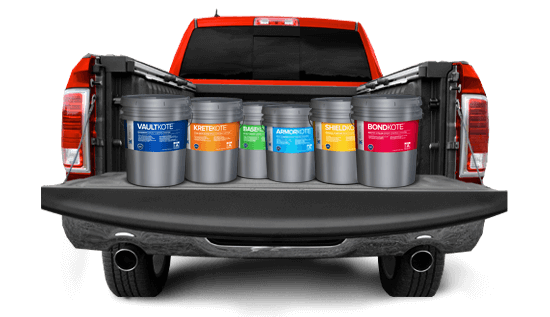 Our epoxy coatings with SafeResin technology cure from the top down, leaving a completely solid material behind. 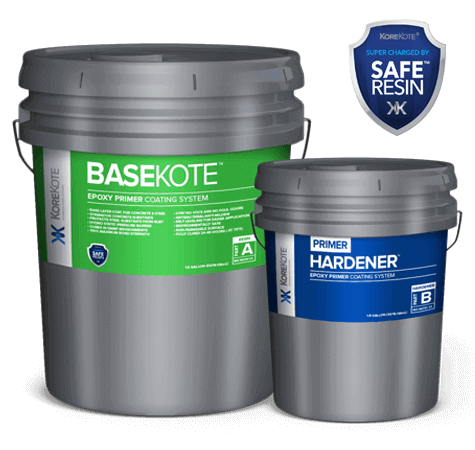 SafeResin technology also causes the epoxy to cure into the substrate, giving it a 100% bond. but easy to use for the do-it-yourselfer. 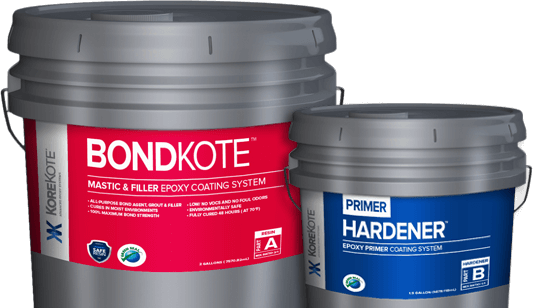 KreteKote’s thicker 20ml coat and 100% bond strength puts a stronger surface finish down than any competitor. The Result – a beautiful, non-permeable surface that self levels as it sets. A perfect pool requires a perfect coating. 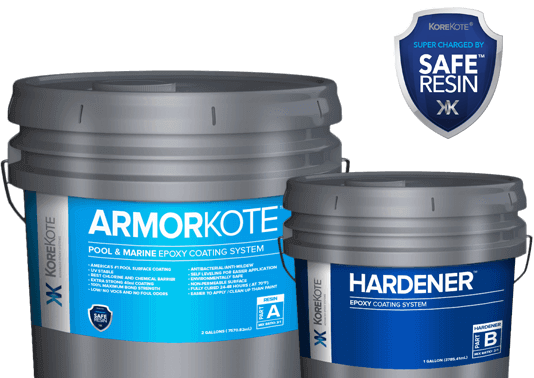 ArmorKote features the best chlorine and chemical barrier on the market. 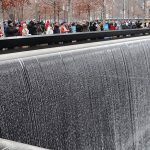 It’s also America’s leading pool repair and resurface coating material. Not only that, but it inhibits the growth of mildew when fully cured. We really did mean perfect. Reduce radon gas by up to 50% thanks to a non-permeable 20ml coating. 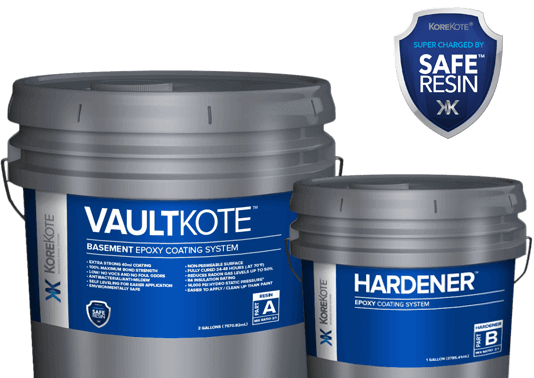 VaultKote also features an ultra low VOC material that results in a complete moisture barrier and an R4 insulation rating when cured. As the ultimate in coating performance, ShieldKote is sure to be your go-to product. Featuring 100% bond strength—it’s perfect for decks, sidewalks, floors and more. 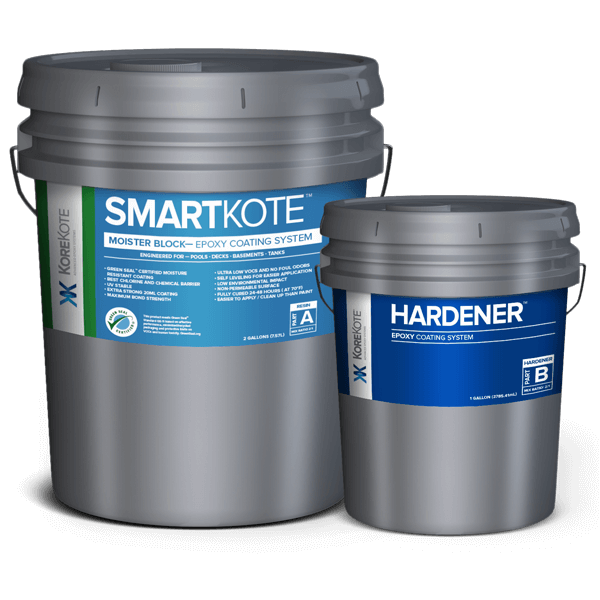 SmartKote Moisture Block is the only Green Seal™ certified non-water based epoxy moisture resistant coating. It offers an outstanding chlorine and chemical barrier and is America’s preferred pool surface coating. 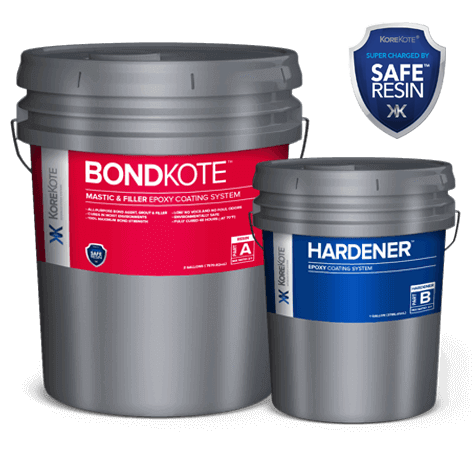 The proprietary formulation is also designed for coating and sealing basements, decks and tanks. This product meets Green Seal™ Standard GS-11 based on effective performance, minimized/recycled packaging, and protective limits on VOCs and human toxicity. GreenSeal.org. 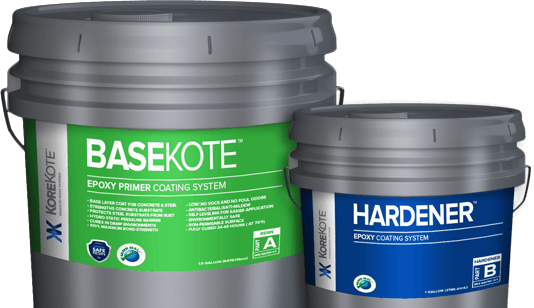 Have a special coating situation? 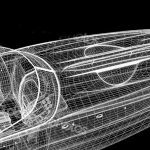 Interested in making your job easier and more efficient? Sign up for our Pro Program and get access to a dedicated KoreKote Specialist and host of customized services. Have a KoreKote Success Story To Tell? We Want To Hear About.